Summer is coming and I am sure many ladies love wearing flower pattern dresses and want to be a colorful pretty in so many pretty girls. But there are still having some pretty hate wearing dresses. They love pants only! So today’s topic is seeing what kinds of fashion pants are suitable for you guys to wear in the 2015 summer. “Cool pants” in summer, you can see there are many kinds of styles you can choose then you can match many different tops. I am sure pants can be popular as much as summer dresses. Some girl can be cool and also can be elegant, it is lovely! This is the first I recommend you in summer pant, when people are talking about summer pants, the first color then will choose is the white one. If you are confident enough of your body, you can choose slim leggings. If you have a little at of your body, you can choose some loosen and bigger size trousers or dressed pants. Who says we cannot wear black pants in summer because of it may be hot? It is a little hot when you are wearing tight jeans in summer. So I recommend you this loosen dress pants, the comfortable material can make you feel cool in this hot summer. I am sure you have heard this drainpipe jeans are super hip in this summer, that is right! She is hot! If you worry about your body is not slim enough, I will recommend you to choose the high waist one then you match a crop top, prefect body proportion is that simple! And the other hot pans I want to show you. 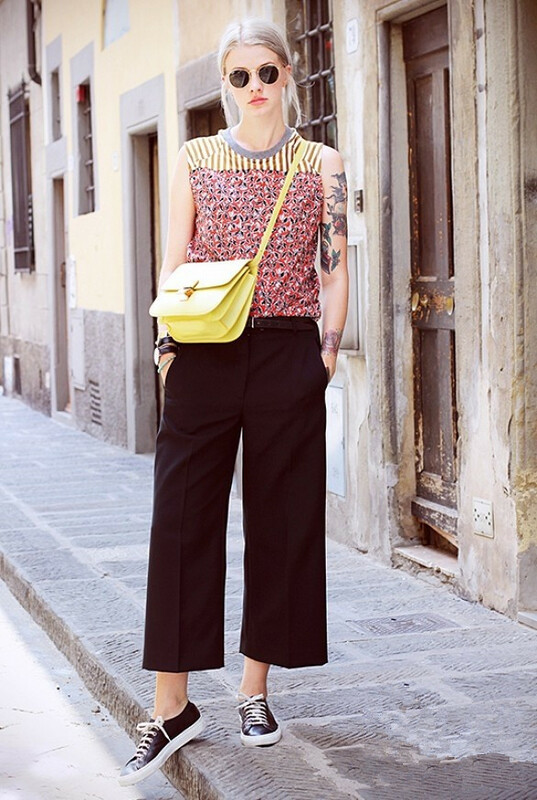 Color pants, strap long pants and printed flower pants. All of these fashion pants are hot in this summer, if you just get sick with those colorful dresses in summer, choose my pants, you won’t never regard! ← Naked? Or not naked?